“The women are generally prolific, and the fine healthy children to be seen in great numbers at the Claddagh are seldom excelled even in more opulent communities. In the west of Ireland, it is the custom, rather general among the lower orders, that females who cannot speak English are not allowed to wear ribbons in their caps. 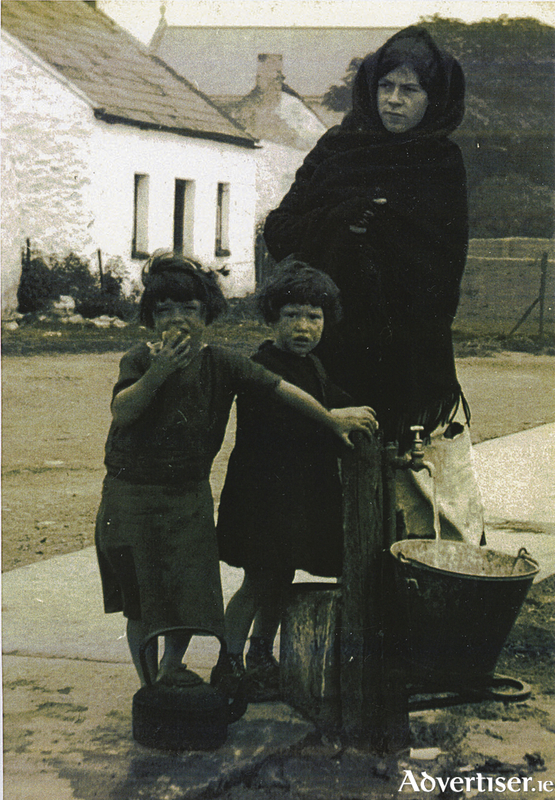 There are one or two Protestant families who settled amongst them during the last century ... the inhabitants of the Claddagh are an unlettered race but they seldom have inclination or time to be otherwise. They rarely speak English and even in their native tongue, the Irish, they pronounce in a harsh and discordant tone, sometimes scarcely intelligible to the townspeople. It is said they considered it a kind of reproach either to speak English or to send their children to school and that a schoolmaster among them would be considered a phenomenon; but of late there are some exceptions to this rule. How far education would make these people happier in themselves, or more useful members of society, is a matter in doubt, but it is certain that the trial was never made, although a most respectable convent lies at the head of their village, to which they are liberal benefactors ...... The women possess unlimited control over their husbands ---- they are equally illiterate with their husbands and very seldom speak English. The above was published in 1820 by James Hardiman. Our photograph (courtesy of the Capuchin Collection ) was taken about 100 years later and shows the beginnings of change in the Claddagh. The house in the background has a slated roof and you can see a concrete path behind the girls. Judging from the angle of the church, the water pump was in the Garryglass area and its use indicates that there was still no running water in the village. What has not changed from the Hardiman era are the handsome and healthy features of the local children.